"I've been through a lot of things in my life," she said, crying again. "Sometimes I wonder why I go through them. But I think they're going to make me stronger. "I want to believe that and I'm going to work hard for it. Sometimes I just need a little time and patience, and a little support." Then there was another question about comparing her level pre-2016 with where she's at now. "Every time you look back you always see the good things and the results. You don't see the struggle, and the days that you had a bad match but you managed to win," she said. "It's hard to compare that with what's happening right now because the obvious indicator is the result, and the result is not there. So the assumption is the level is not there, but that's not necessarily the case." It feels like such a long time ago to her that she can barely remember what life was like at the top, although she concedes it wasn't always great. 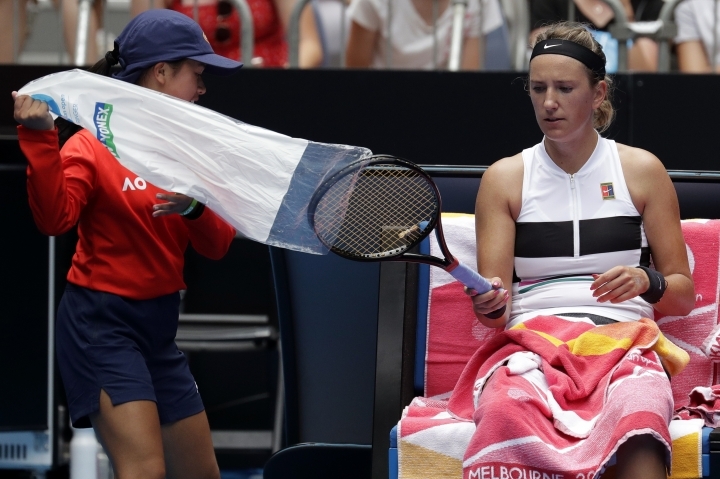 There were people who didn't like the sound of her grunting, or her taste in music, and she was heavily criticized for an incident in her Australian Open semifinal win over Sloane Stephens in 2013. 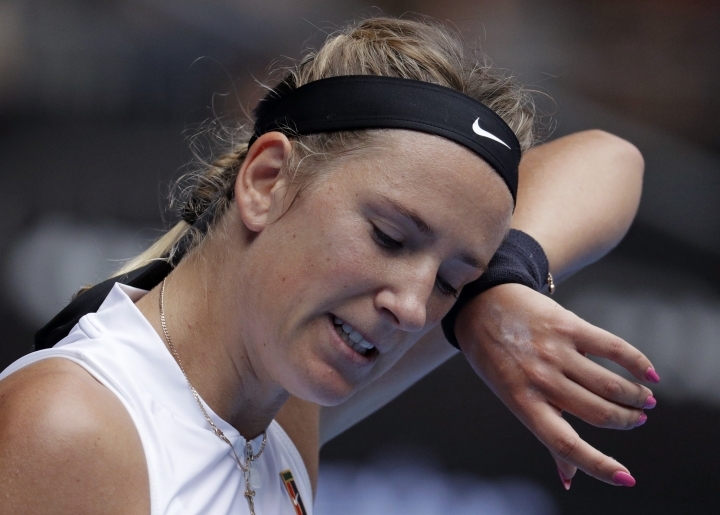 "Not many people know how difficult 2013 was for me to go out there and play that final," Azarenka said of her last major title here. "It was a nightmare that turned from harmless incident to just headlines, headlines and headlines. That was a difficult part. But results were good, so everybody thinks it was great. "It was amazing to win those two titles. But you always struggle, and right now it's just a harder struggle for me." Azarenka said she'd go away and work hard on her game, hoping that eventually she'll relive some of the success of her early career.